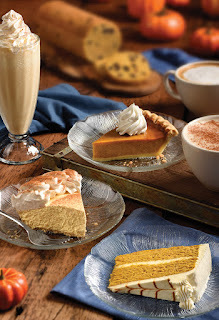 The tastes of fall have arrived in our restaurants and we’re promising plenty of pumpkin and apple! From returning favorites to new creations, you’re sure to find the perfect sweet treat to help get your September off to a great start. New! Dutch Apple Pie Milkshake: Will top your list as a new fall favorite! Pumpkin Latte: A.K.A. The perfect pumpkin pick-me-up.